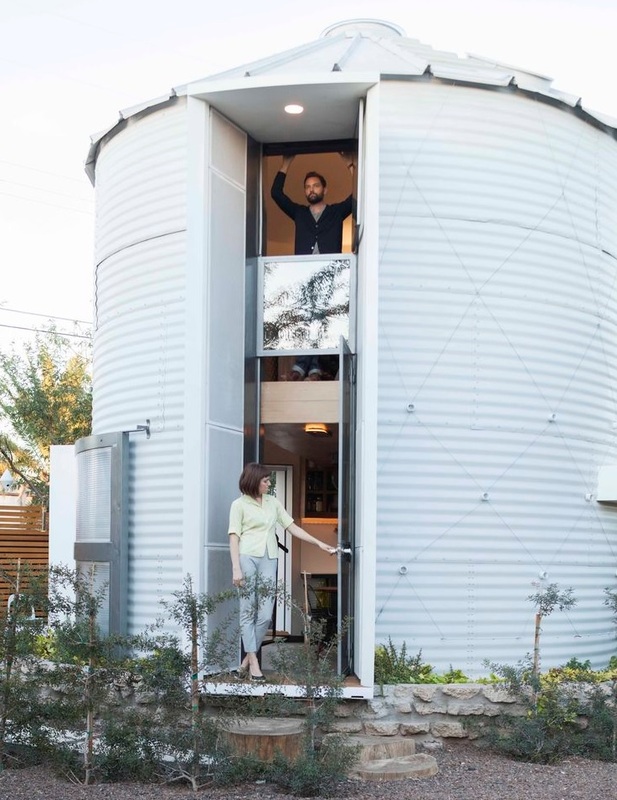 In 1955 it was used by a Kansas farmer to store grain, today the former silo is home to architect Christoph Kaiser and his wife. 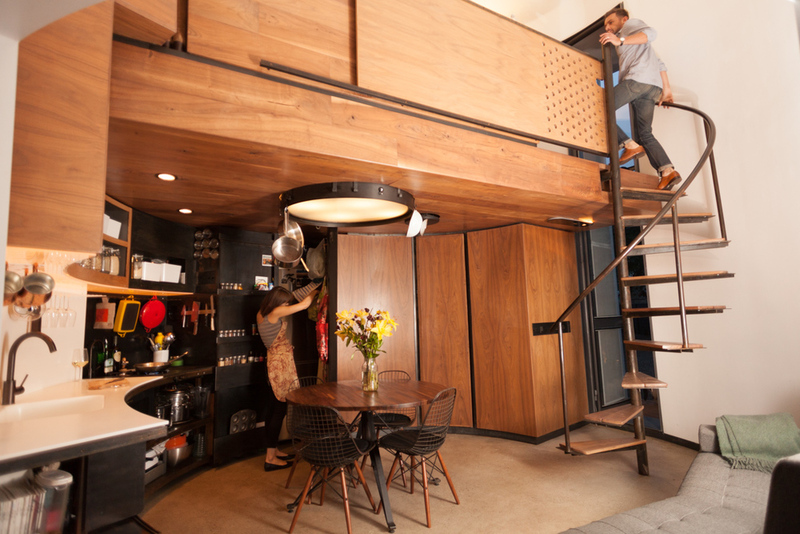 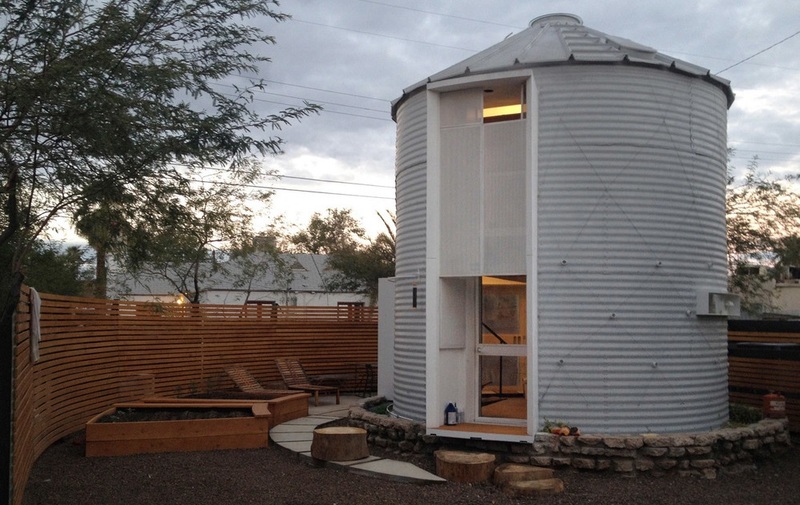 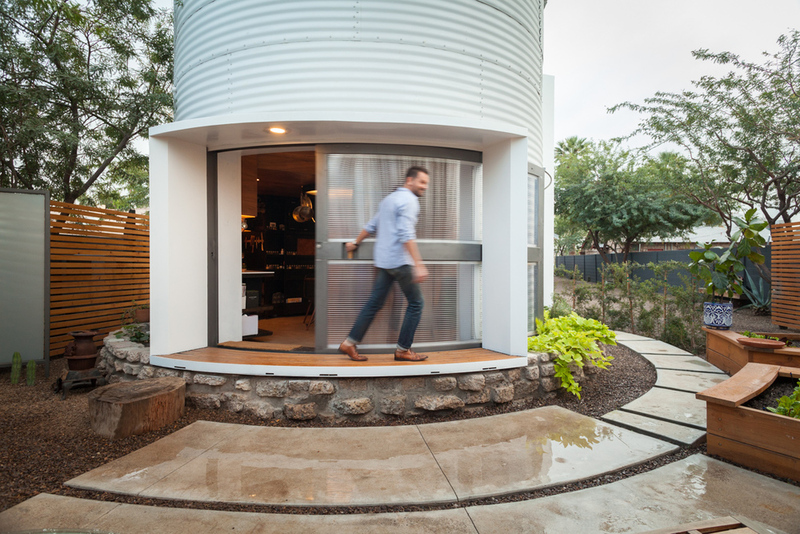 Located in downtown Phoenix, Silo House has a 190-square-foot circular footprint and 340 square feet of total living space. 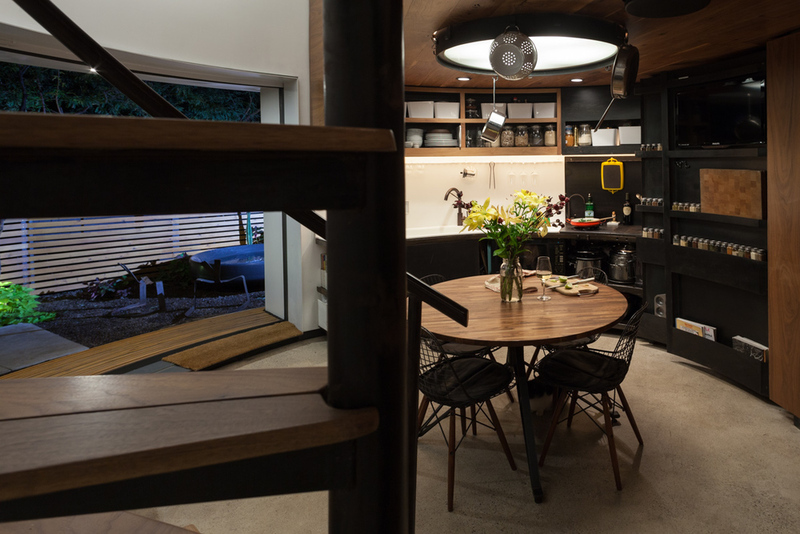 A two-level loft built to achieve maximum “spaciousness and simplicity,” virtually every feature was designed by Kaiser himself, including the nine-foot wide sliding wall and vertical window/door. 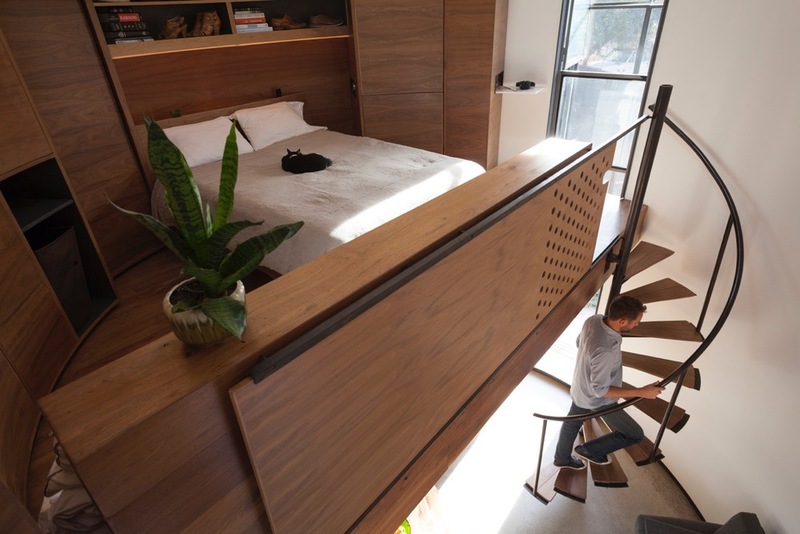 Inside, the curved walnut interior features a spiral stair case, hidden movie projector opposite the bed, custom cabinetry, a small bathroom and a skylight in place of the silo’s oculus, which is traditionally used to allow air to move through the grain. 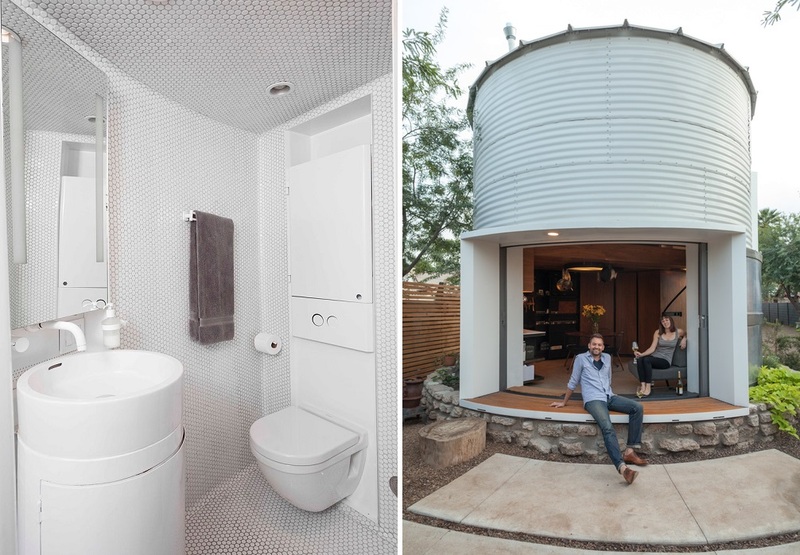 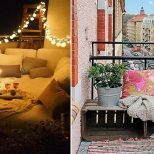 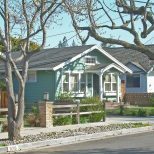 If you love the design as much as we do, you might also enjoy these 12 beautiful homes that used to be other things as well as these 13 tiny houses that make a big impression.